On the 40th anniversary of my mam’s passing I felt I had to do something in her honour and so began tracing the family tree, with the focus on my mam’s family name of Hutchinson. 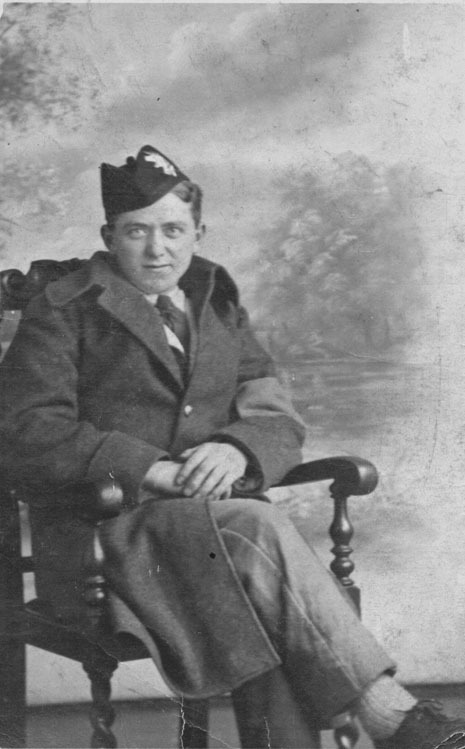 My grandad, Harry Hutchinson, had always maintained that we had Scottish roots and despite being a Yorkshire man through and through, when the First World War broke out he made his way to Perth to enlist in the Black Watch. He served until 1915 when he was shot in the leg and on recovery was sent home. Me ,my brother Mick and my sister Julie always used to play what we call “Can you remember when?” and I recall talking to Mick once about Grandad’s injury , as I only knew about it when I saw a copy of his discharge papers. “But Chris, you must remember ” he said, “He used to roll up his trousers leg and show us where the bullet went in and the bullet came out” . Now I have a truly amazing memory and I know for certain he never showed me his war wound so we concluded that Grandad must have felt such things were not for lasses to witness. How times have changed haha. My Grandad was the kindest, sweetest soul and my greatest fear when I was “exiled” in Morecambe was that I would come to visit him and he would have been taken over by an imposter. I could never resist checking to see if he still had the mole on his neck – just in case . I don’t remember many conversations with him. For me it was enough just to be in his presence. As a tot I would sit and watch him working in the outhouse, which was his workshop. He could turn his hand to anything and he always smelled of a mixture of sawdust and Coal Tar soap. When we went to the Post Office to collect his pension he would buy me Cherry Lips. I always felt my Mam was closer when I was around him. He lived to be 82 which for his generation was a good innings. 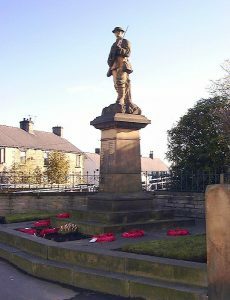 His brother Arnold perished on the Somme and his name is on the Cenotaph in Dodworth. As I stripped back the years unearthing our family history I became so acutely aware of how important that bullet had been – as it gave life to so many of us. My trail of the tree came to a halt in 1763 with the birth of George Hutchinson, allegedly the son of George and Mary. Despite every search there appears to be no such couple but there is Henry and Mary who went on to have numerous more children. I have to conclude that the record is wrong and that George’s father was indeed Henry, who I can trace back to Dewsbury. And this leads us also to conclude how strong our oral history is, given that we still cannot find when or how we left Scotland. Interestingly, a distant cousin I met in Lancashire also adds evidence towards our Scottish roots. Her branch of the family left Yorkshire for Lancashire, when the Linen trade was overtaken by mining. Ruth was in her 80s when I met her and she had always been told we were driven out of Glencoe for sheep stealing.